RAY COOKE AUCTIONEERS are proud to present "Tig Mhuire" to the market, a substantial 3 bed 2 bath property of c. 1593 sq ft on a large imposing site on the banks of the river Dodder. Nestled just off the Oldbridge Road, a host of local shops, bars and cafés are all within arm's reach and both Templeogue & Rathfarnham Villages are found within walking distance. You have a range of esteemed primary and secondary schools in the catchment area such as Bishop Galvin National School, Bishop Shanahan National School, St. Pius X National School, Our Lady's Secondary School, Templeogue College and St Mac Dara's Community College. Public transport is in abundance making Dublin City Centre an effortless commute and the M50 motorway is found within minutes by car. Spacious and well laid out interior living accommodation of c. 1593 sq ft comprises of porch, downstairs wc, 2 x reception rooms, dining room, kitchen, 3 spacious bedrooms and main family bathroom. Surrounded by spacious gardens which are made up of mature planting, extended lawn areas and paved driveway this is truly an opportunity not to be missed. 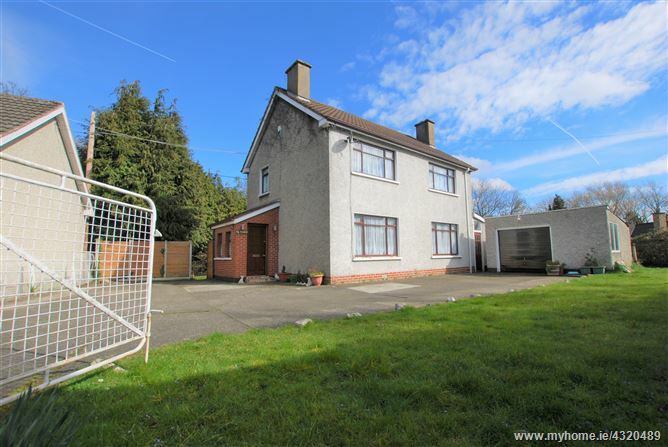 The house itself is in need of interior upgrading but no astute purchaser could deny that this property overlooking the Dodder is truly breathtaking. Viewing is highly advised, call Ray Cooke Auctioneers today! From Templeogue village, proceed west on the Templeogue Road. At the lights, turn left onto Old Bridge Road. Take your next left after the bridge and Tig Mhuire is the third house on the left hand side.